Huawei are rapidly becoming the phone manufacturers to beat and having shaken Apple from the top of the tree, they have been aiming to dominate with the Mate-series of mobile phones. How does the Mate 20 Pro’s promise hold up in real-world use? Intentionally designed to court attention, the Huawei Mate 20 Pro looks absolutely stunning in both its twilight and emerald green iterations. It does also come in black, but it’s unlikely to be most people’s first choice. The green model benefits from a textured finish that reduces the impressions of finger prints and the likelihood of the phone slipping from your hand. It’s a shame they didn’t all get the same treatment. That said, its the phone’s triple camera + flash array that makes it really stand out. It also gives it the impression of having four cameras. I’ve become accustomed to people remarking on the look of the phone and asking who made it when I’m using it in public. In a world where phones have aped each other’s design cues for so long, the Mate 20 Pro has found a unique way to standout from the crowd – in a good way. The device has a large 6.4-inch display, accented with an unobtrusive notch that houses the device’s 3D-face unlock tech and a 24MP selfie camera. It’s not the best display of the leading smartphones, Sony still sits on top of that list with the screen on the Xperia XZ3, but it’s very much up there and renders entertainment content vibrantly. 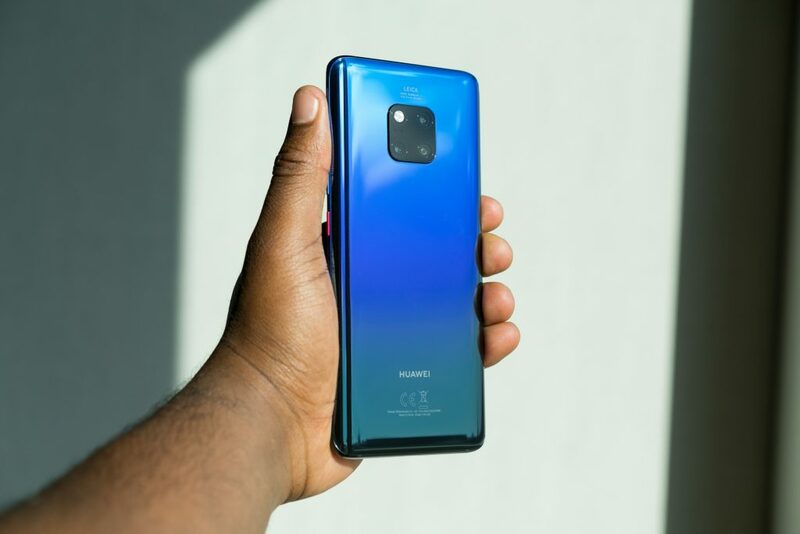 One of the biggest achievements of the Mate 20 Pro’s design is that it feels surprisingly thin, despite carrying one of the largest batteries of any flagship smartphone. As so much of its front is dedicated to screen space, Huawei has found an ingenious place to place its second speaker – inside the USB-C port. This means that it offers some of the best loudspeaker performance of any all-screen design smartphone – although that benefit is somewhat dampened when you have the phone on charge. There’s no headphone jack but there is an IR Blaster, which we love! If we could change anything about the design of this device, we’d place the power button on the left side of the device. Currently it sits just below the volume rockers but so close that it’s too easy to capture screenshots or turn the screen off accidentally. It’s a small niggle but it’s one we could do without. All screen and no fingerprint scanner on the rear like the Mate 20, the Pro model instead features an in-screen print scanner. We like the graphic implementation but it can be frustratingly inconsistent at times. Fortunately, the face unlocking of the Mate 20 Pro is somehow better than the already super-fast face unlocking of the Mate 10 Pro. Face unlocking on this decide is superb, even in a dark room. 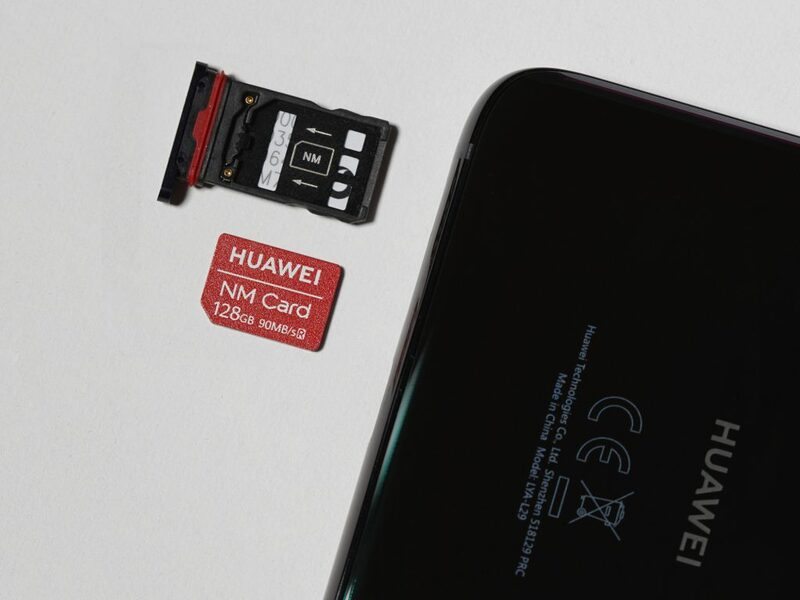 The Huawei Mate 20 Pro offers dual sim slots or alternatively you can use one sim and one proprietary NanoMemory Card – Why has no one thought of this before?! It’s a great option and makes the phone’s already capacious 128GB onboard storage expandable. One thing we don’t absolutely love is the Huawei Emotion User Interface (EMUI), laid on top of Android 9 Pie. It offers some slick navigation and app/usage management tools, as well as a suite of baked in apps. However, it seems to be the source of the odd app glitch where commonly used applications, such as Instagram, just function wrong – randomly. It’s not so common as to be a deal breaker, but it is a little annoying to experience those issues on a phone that is solid in practically every other way. The best thing about EMUI is probably its Digital Balance feature that allows users to set time limits for individual apps, as well as screen time. It can also switch your phone into “Bedtime mode” making it run in monochrome and restricts app access between a user designated bedtime and morning. This makes using the phone easier on the eyes when its late and reduces the distraction and impact that screens have on our ability to get to sleep soundly. Huawei has been producing phones with class-leading photography performance consistently since partnering with Leica. The Mate 20 Pro is no exception, only rivalled by the camera in Google’s impossibly capable Pixel 3. Its camera is comprised of three sensors; one 40-megapixel sensor with an f1.8 lens, one 8-megapixel sensor with an f2.4 zoom lens and a 20-megapixel f2.2 ultra-wide lens. The forth circle in the array is for a dual-tone LED flash. Why three cameras? It allows for greater creative flexibility. Using computational photography it gives users a genuinely useful focal range to experiment with when taking pictures or recording videos. Although you will have to forgive some edge distortion, ultra-wide is one of our favourite things about the Mate 20 Pro camera. It’s a capability that really shines in landscape and street photography settings. Ever seen a more splendid monument in a cemetery? I'm not sure I have. Captured using the wide-angle lens on the @huaweimobileuk #Mate20Pro. Huawei also utilises its processing power to boost camera performance, intelligently identifying edges for great background blur during portraits and when you use it with the Master AI feature activated. With this setting on, the Mate 20 Pro can recognise thousands of scenes and objects and will optimise settings specifically. It also allows the user to create interesting AI colour videos that singles out a single colour while the rest remains monochrome. Great if you want to try and recreate a scene from Sin City using the phone. It’s a bit gimmicky, but the quality of the effect is a great demonstration of the phone’s real-time processing capabilities. The Huawei Mate 20 Pro has a camera that allows me to leave my cameras at home when I’m not working. It delivers in every lighting condition and while it may not be quite as consistent as the Pixel 3, it is hard to beat when it nails the shot. The Huawei Mate 20 Pro has been the phone to beat since its release in Q3 2018 and one of the main reasons behind that is its Kirin 980 processor. While its Android competition rely on the 10nm Snapdragon 845 chipset, the Mate 20 Pro’s Kirin 980 uses a more efficient 7nm processor. Using a smaller process in its chipset, reduces lag between communicating parts, allowing it to pack more power into its punches. This benefits performance in terms of battery consumption, complex application use and multi-tasking. In fairness, none of the flagship phones could be described as slow, but the Mate 20 Pro feels slicker in use and suffers less from slowdown over months of ownership. 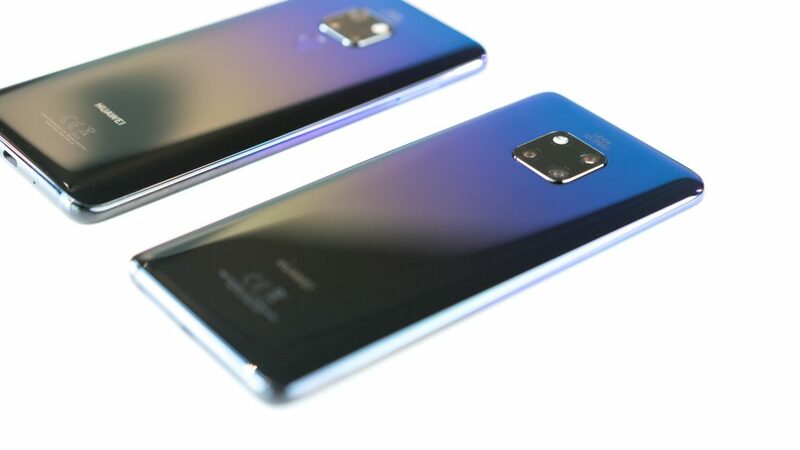 We’ve lived with the device for no less than six months before working on this review to test Huawei’s claims around longevity and we can confirm that performance between the phone after consistent full-time use and day one is imperceptible. Yes, there are other fantastic devices on the horizon. 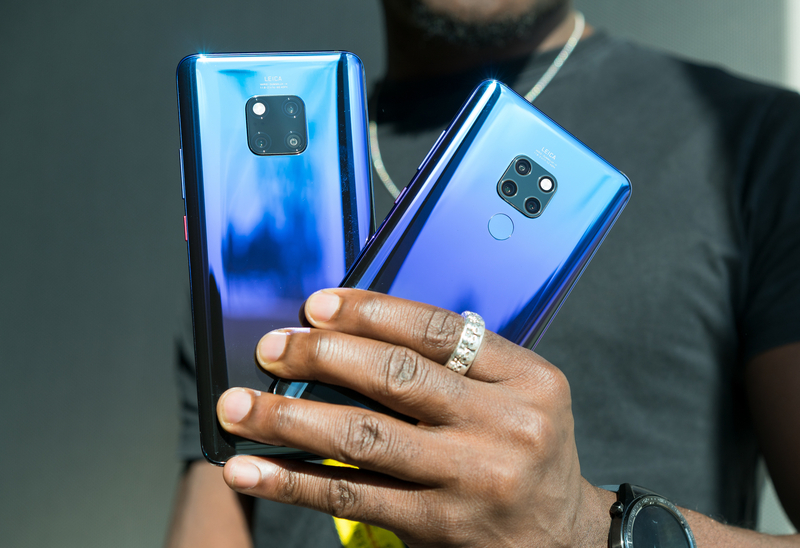 But the best thing about the new releases is that if you want solid performance all-round, including a great camera, and don’t have to have the latest phone: The new devices will hopefully make the Huawei Mate 20 Pro even more of a great choice as it becomes more affordable.